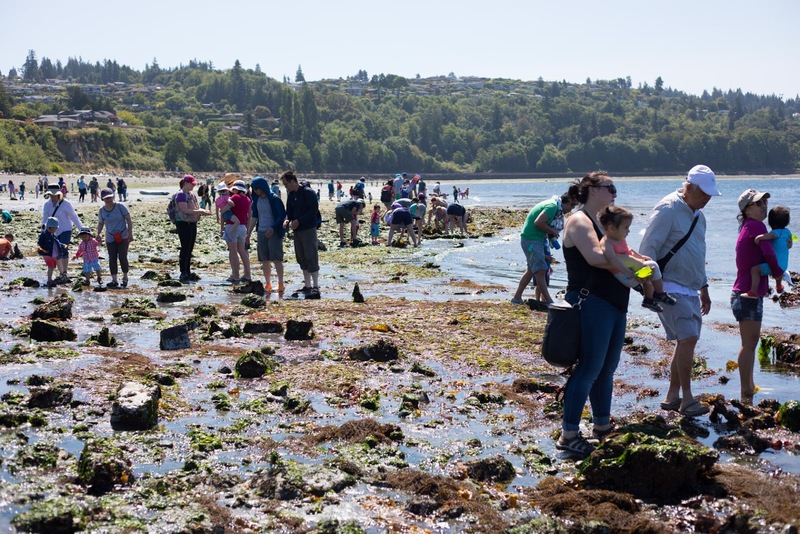 This weekend was one of particularly low tides. 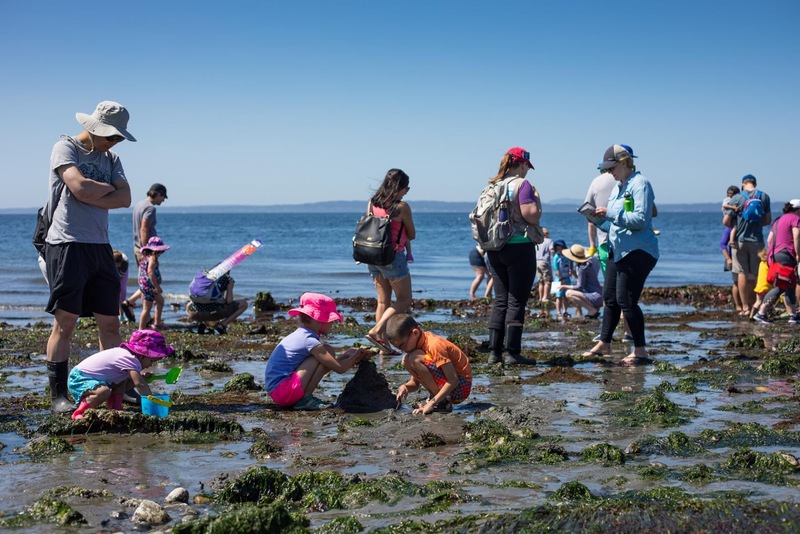 Naturalists from the Seattle Aquarium were at Richmond Beach Saltwater Park to answer questions and point out things that people might otherwise miss. Judging by the photos, many families took advantage of the low tide, and the great joy for the toddlers was digging in the sand and playing with the seaweed. The Walks are sponsored by the City of Shoreline.